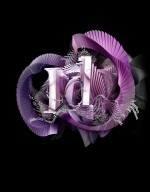 Faster performance - Under-the-hood improvements throughout InDesign keep you working quickly and smoothly. Harness all of your system ™s RAM with native 64-bit support. See the greatest improvements in speed and stability when printing and when exporting PDF and INX files. NEW Sync Fonts - Sync Fonts part of Creative Cloud will change the way you work with type. Quickly find the perfect font from the growing library of over 700 Adobe Typekit fonts, sync it to your system, and have it immediately available for use. NEW Typekit desktop fonts - Quickly access the rich library of Typekit desktop fonts directly from the InDesign Font menu. To reduce the headache of documents with missing fonts, InDesign now finds missing Typekit fonts for you when the file is opened and prompts you to sync them with a single click. HiDPI and Retina display support - From text to complex artwork, every element of your design will have greater clarity and vibrancy, thanks to support for the high-resolution Retina display on the new MacBook Pro. NEW Simplified hyperlinks - Creating and managing hyperlinks is now simpler, faster, and more intuitive. Use right-click commands to create and test hyperlinks. Efficiently manage hyperlinks and edit their names in an improved panel. Automatic styling helps you quickly spot every hyperlink in your layout. NEW EPUB interactivity - Enhance your digital books with elegantly formatted footnotes that pop up in context on the page being read with a simple tap. Give readers the additional information they need without interrupting their focus or reading flow. NEW Font search and filter - Find the perfect font, fast. Type any portion of a font name, such as “bold,” “semicondensed,” or “italic,” or any part of a font family name, and see only the fonts that match your criteria. You can now also filter for Typekit fonts. Instant font preview - Quickly see how different fonts look in your layout. Use the arrow keys to browse through fonts and see each one applied to your selected text. When you find the best fit for your design, just click its name or press Enter to make your choice. Font favorites - Find the fonts you use most often without wading through your entire collection. Mark your favorites, and then decide whether to display only those or the full set. 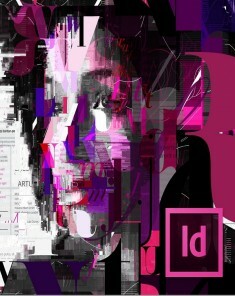 Modern UI - InDesign has a new look. Because the updated user interface is consistent with Adobe Photoshop and Illustrator, it ™s easier to work across your Adobe applications. And now you control the brightness of the UI so you can see your layouts more clearly. NEW EPUB enhancements - Benefit from smarter text handling on export, with more accurate presentation of text color, tables, and nested styles. You can also map object styles to tags for export and more easily edit CSS. These and other improvements give you greater control and fidelity for EPUB export. QR Code Creator - Create crisp, clear QR codes right within InDesign. Because InDesign creates vector codes, you can resize them without compromising quality and copy them into applications like Illustrator. At any point, you can edit the QR code directly within InDesign. Sync Settings - Work the way you like on any of your computers. Synchronize your workspace settings to Creative Cloud including keyboard shortcuts, presets, and workspaces so they go where you go. Print publishing - Print long and short documents directly to a desktop printer or as PDF files for professional printing. Work efficiently thanks to Adaptive Design Tools, productivity tools, and more. Digital publishing - Create many kinds of digital documents. Develop sophisticated content for popular tablets by pairing InDesign with Adobe Digital Publishing Suite. Design eBooks for popular devices, including Kindle and Nook. Export interactive layouts as SWF or PDF files. iPad apps without coding - Create iPad apps without writing code. 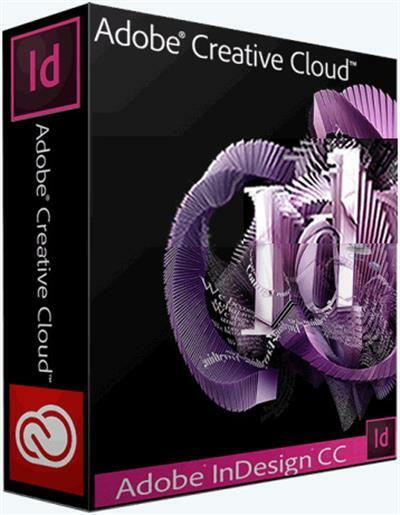 Access Digital Publishing Suite, Single Edition (part of Creative Cloud) from within InDesign and use familiar tools to develop iPad apps. Creative Cloud members can submit unlimited single-edition iPad apps to the Apple App Store. Adaptive Design Tools - One design. Unlimited layouts. Adaptive Design Tools, including linked content, Alternate Layouts, liquid page rules, and Content Collector tools, let you efficiently repurpose your work for various page sizes, screen sizes, and orientations without sacrificing control. Preflight and production tools - Speed up production and reduce errors with live preflighting of print and digital documents, document-installed fonts, background PDF export, JDF technology, and PDF/X export. Robust text composition - Create sophisticated text with precise typography. Efficiently design type with styles, text wrap, the Paragraph Composer, OpenType support, drop caps, style mapping for EPUB export, and more. Automation - Create powerful automated workflows using standards-based XML features to lay out pages with text and images. Incorporate database-driven content to publish across channels. Persistent text-frame fitting - Set frames to automatically resize to fit your text, based on simple parameters. With persistent text-frame fitting, frames expand and shrink dynamically as you edit headlines, callouts, or other variable content. Paragraphs that span columns - Quickly reconfigure paragraphs to span more than one column, such as a headline, or to split into multiple columns without creating separate text frames. Keep related lines together as the text flows. -Internet connection and registration are necessary for required software activation, membership validation, and access to online services.